Is a WordPress Website Right for You? It’s 2017, and consumers are using digital technology more than ever before. Around 80% of households own at least one smartphone. People are also connecting via laptops, tablets, smartwatches, televisions, and gaming consoles, and more. In this digitally connected world, every business needs an updated, user-friendly, and authentic website to stand out among its competitors. WordPress offers businesses of all sizes the tools to do just that. How Do Businesses Use WordPress? Many people associate WordPress with smaller blogs, small business websites, and personal sites. While many smaller organizations can benefit greatly from WordPress, large businesses also use this website creation and design tool to build innovative and beautiful website experiences. Companies including PlayStation, BBC America, Disney, and The New York Times Company all use WordPress to reach their audiences. As an open source PHP based tool, WordPress offers incredible flexibility for any number of website projects. Today, millions of people use it to build powerful websites, manage content, and build brand equity online. In addition to WordPress, businesses can build websites using Joomla, Drupal, or other open source tools designed for web-based projects. While many of these software options offer the same basic functionality, individuals and businesses tend to gravitate to one or the other based on preference and available support. Of all the open source content management systems available today, WordPress consistently rates as the most popular. WordPress is intuitive. WordPress developers offer thousands of themes, widgets, and plugins that do not require any special tech skills to use. With the right combination of features, anyone can update a website to keep it looking fresh and exciting over time. Many businesses rely on outside support to get their websites up and running but bring many daily activities in-house later to save time and money. It is great for SEO. A website is the cornerstone of a brand’s digital presence – it is crucial to online success. To deliver ROI, however, a website needs to gain visibility. Search engine optimization activities help brands stand out in Google and other search engines, and Google notices WordPress sites. If you choose WordPress as a foundation for your web design, you have taken the first step toward better website performance and online visibility. A thriving community supports the WordPress system. Whether you want to dive into online tutorials and build a website yourself or partner with a professional team, you can shape your WordPress journey in a number of ways. 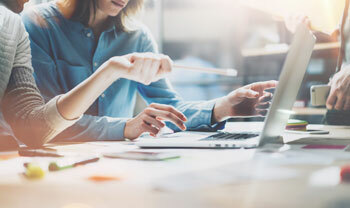 Many businesses don’t have the time or the technical background to build a website that prioritizes the user experience and drives customer journeys. These businesses can partner with designers and developers who can take their WordPress website to the next level. It is scalable. Start your business with a WordPress site and continue to use it as you grow. Some individuals use WordPress to build a blog and later expand to share their brand experiences with the world. Build one or a hundred pages without sacrificing website quality or performance. Consider WordPress as all-inclusive web design system. It is fully customizable. Brands don’t have to use WordPress’s preexisting designs or plugins to build a robust and functioning site. The tool gives website owners the flexibility to create a fully customized and unique website. Often, designers use preexisting themes and their own creative portfolios to help site owners visualize color schemes, capabilities, layouts, and multi-media options. It is flexible. Brands can use WordPress to create multi-functional websites. A modern website can do much more than relay company information. Brands can create a seamless online shopping experience, manage memberships or subscriptions, manage appointments, and more with a WordPress-based website. Professionals can use the system to create a modern and interactive portfolio or gallery of their work. Whether you’re showcasing your restaurant’s latest menu items or marketing a new and innovative product, a WordPress site can help you reach your business goals. It is cost-effective. 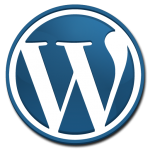 As an open source tool, WordPress is completely free to use. Individuals and businesses can modify the source code as they see fit or use the system in its current format without worrying about additional fees. Businesses that partner with WordPress designers only pay for the professional services and customizations they use, not the tool itself. It is secure. Cybersecurity is a major concern for businesses of all sizes in today’s world. WordPress strives to maintain the security of its system. WordPress represents a secure website option for small business and enterprise websites, and provides site owners with the ability to strengthen security for improved risk management. It is easy to maintain. Create, publish, and schedule future blog and content updates with ease using the user-friendly WordPress platform. Users can even access WordPress from a mobile device. For busy businesses, this level of content update flexibility can keep any marketing or branding campaign on track. Take care of all your website maintenance needs from the WordPress dashboard. With a WordPress site, businesses can choose their own website hosts. Host your website with any number of professional web hosting companies. Change as needed without sacrificing your website and starting over. As more brands partner with WordPress for their web designs, the system grows stronger and more user friendly. Today, it offers individuals and designers a range of capabilities and plugins that can transform any basic site into a mobile-friendly, search-friendly, and aesthetically pleasing online destination. Whether you’re investing your business’s very first website or you need to redesign an under-performing website, WordPress offers everything you need to transform your online presence and build brand equity. At Spencer Web Design, we specialize in WordPress website design projects for businesses of all sizes. We can help you build a customized and easy-to-use site that your business can use to build and maintain a thriving digital presence. From developing a new design to marketing your business online, Spencer Web Design is a full service digital marketing firm. Contact us today to learn more about how your business can use WordPress to stand out online. Customized WordPress training for 1 to 2 people is available ad hoc as part of our Website Support Package or by the hour. Onsite training is available in the greater St. Louis area. Remote access training is available nationwide. You don’t have to be a Spencer Web Design client to take advantage of our training services. We believe in empowering our clients, so we provide an individualized, private one-on-one training session with every website we design.